“Of all the people in the world, why does it have to be me?” Linalyn asked her mother, Natalie. Their family had no history of clubfoot so she couldn’t understand why she was born that way. Natalie worked as a sugarcane farmer. Her work was seasonal and her salary wasn’t enough to provide for her family, which included her sick husband and three children. It was impossible for her to save up the money needed for Linalyn’s corrective surgery. After years of hopelessness, Natalie heard about the Transform program and joined as a participant. 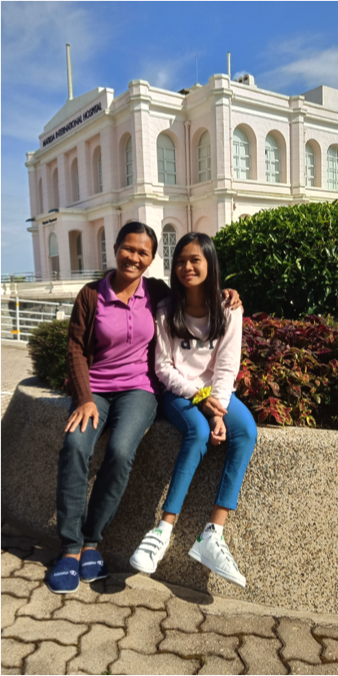 Originally, she didn’t even know that ICM offered medical assistance, but she was overjoyed when she found out that through the program Linalyn could get the surgery she needed. 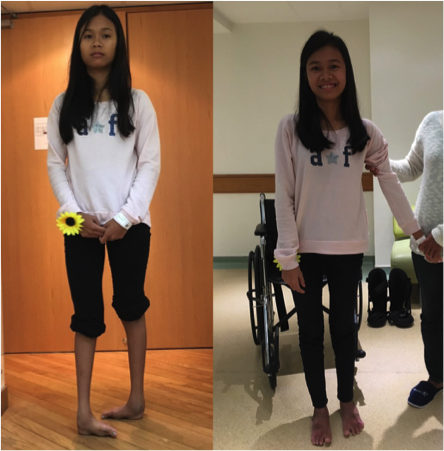 In June 2018, Linalyn came to Hong Kong to receive the surgery to correct her feet at Matilda International Hospital. The life-changing surgery was a success, impacting not only Linalyn and her family, but also giving hope to others around them who once believed that this corrective surgery was an unreachable fantasy. In September 2018, Linalyn returned to Hong Kong for the cast removal and further therapy. Linalyn’s surgeon, Dr. Yeung, was happy to see the progress she was making – there were no infections and no further medication needed.